Enter Walmart Gift Card Giveaway 2016 below. And get a chance to win $100 GC! 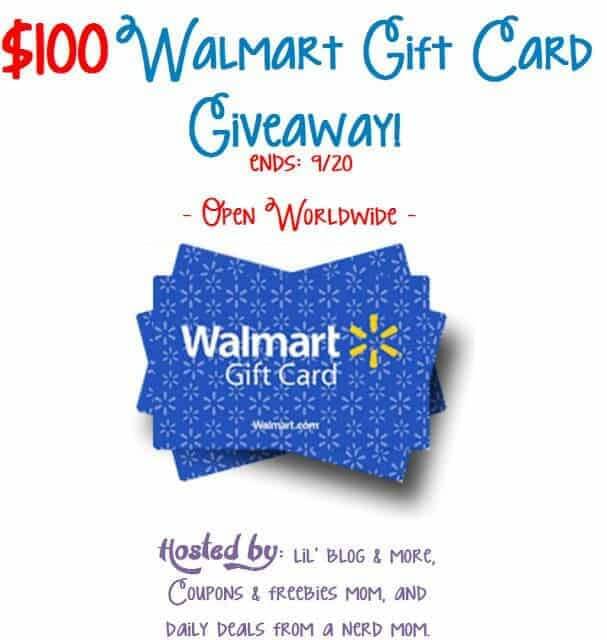 Welcome to the Walmart Gift Card Giveaway Event! A big, fun event, brought to you by a lot of great bloggers! And an extra thanks, to the great co-hosts: Animal Bliss, Cha Ching Queen, and Deliciously Savvy. This is a great prize, to help with anything you need, from back to school, and more! I would most likely get some school supplies.